For thousands of marijuana smokers in Colorado and around the country, 9 a.m. on New Years Day was exponentially more exciting than midnight the night before. The morning of January 1st, 2014 marked the first time in recent American history that stores were able to legally sell pot to the public. Any adult can now walk up to the counter of one of the state’s 136 marijuana retail shops and purchase up to an ounce of pot for their personal use. Out of state residents are restricted to buying one quarter of an ounce, but regardless shopkeepers will not ask for prescriptions and medical use cards are no longer necessary, as the buyer simply needs to be 21. Many of the state’s licensed shops experienced a good bit of fanfare upon selling their first legal bags, as media outlets were on hand all over the state. Bright lights and cameras surrounded the first purchase, which was made by a U.S. Marine Corps veteran who suffers from post-traumatic stress disorder. PTSD is not a valid disability under many state’s current medical marijuana laws, and was not covered by Colorado’s. Marijuana legalization was actually passed back in November of 2012 and the last year has been spent developing the infrastructure needed to support the business. This includes licensing, regulating, taxing, and of course enforcement. Currently only the roughly 500 state medical marijuana dispensaries may apply for sales licenses from the state. 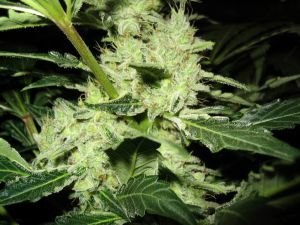 The prospective stores must also seek local government approval; the law provides city and county governments with the power to pass bans and temporary stays on pot sale. Lastly, the stores must pass rigorous compliance inspections, of which less than 50 had completed at the time of the first legal sale date. Each store is required to keep tabs of their entire inventory and document supply purchases and retail transactions. The stores are expected to generate about 70 million dollars in tax revenue for the state, and this number could end up being much higher as more licenses are granted. Enforcement will be handled in a similar way that alcohol laws are enforced. Driving under the influence of marijuana, smoking in public, selling to a minor, and minor in possession will all continue to be illegal, and will probably be enforced with greater vigilance. The first day of legal pot sales on American soil in more than 70 years was met with both celebration and scorn, although the celebrations outnumbered the latter. Numerous buyers were photographed with their arms raised, and ear-to-ear smiles on their faces as they left the stores. Even those stuck in tremendously long lines were showing excited grins as they came closer and closer to making their first legal purchases. For the diehards that woke up early on a holiday to trek to the stores, the elation was about more than just being able to go home and get high. It was a number of things including relief for not having to look over a shoulder for the cops when buying a little bag of pot. It was a feeling that our country may be progressing from the illogical and hypocritical views on marijuana and its users compared to alcohol and those who drink. But maybe it was just the simple pleasure of feeling free. The Blog will post an additional article on how the implementation and progress of the Colorado law will affect other states, namely Maryland, but a couple years of success may be all that is needed for the legalization dominos to fall nationwide. 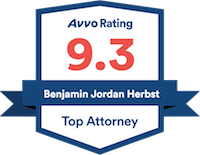 Benjamin Herbst is a Maryland marijuana lawyer who handles all state and federal drug cases. Contact Benjamin at 410-207-2598 for a free consultation about your case.